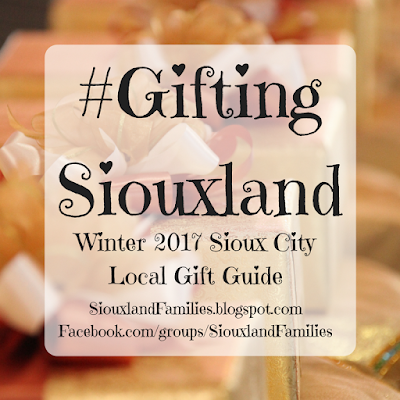 Christmas will be here in about a month, and to help you find perfect gifts for your loved ones, Siouxland Families presents our first annual #GiftingSiouxland gift guide! 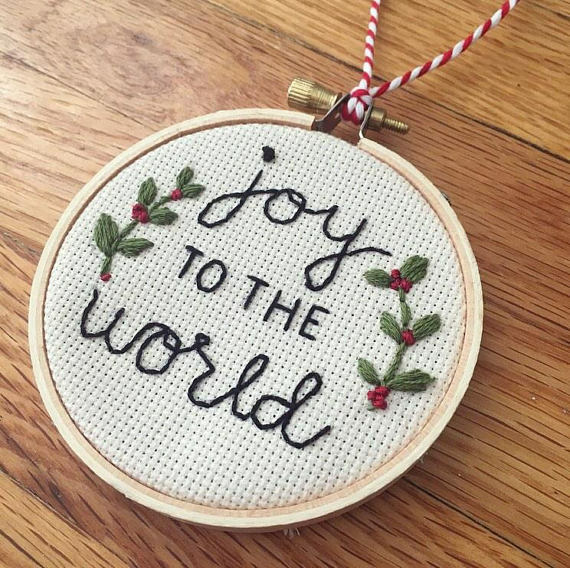 The Sioux City area is full of great local companies, stores, and makers, and spending some of our holiday dollars with them is a fun way to get unique gifts for friends and family while also supporting our neighbors! Thinker Toys: The iconic castle toy store just south of the Southern Hills Mall features a wide variety of toys and games, from well known brands like Lego, Brio, and Melissa & Doug, to quirky independent brands you won't find elsewhere in Siouxland. They also have frisbee golf equipment, which is perfect for Sioux City's various courses (most notably, at Sertoma and Grandview Parks). Thinker Toys is at 4400 Singing Hills Blvd, and you can find more info on the Thinker Toys Facebook page. Acme Comics: Acme Comics features tons of comic books, but also toys, games, books, and more for the fandoms your family loves. Acme Comics is at 1622 Pierce Street and you can find more info on the Acme Comics Facebook page. Book People: This cozy bookstore has been sharing unique books with Sioux City readers for 40 years and has books and gifts for all ages and interests, including many you can't find anywhere else in Siouxland. You can visit Book People at at 2923 Hamilton Blvd, or check out their website for more information. Magnolia Roots: Local indie designer Lindsey Huber describes Magnolia Roots as celebrating the simple life, and her shirts reflect that. You can order from Magnolia Roots on Etsy or on the Magnolia Roots website, and you can find out more about Magnolia Roots on their Facebook page, Facebook group, or instagram page! Ambrosia: Ambrosia in South Sioux City is an exciting new jewelry store that just opened. They specialize in custom jewelry and have options on their website ranging from $19.95 to over $2k, so you're certain to find something in pretty much any budget. I especially love their druzy earrings. You can check out Ambrosia Jewelry on their website or on Facebook, twitter, or instagram. 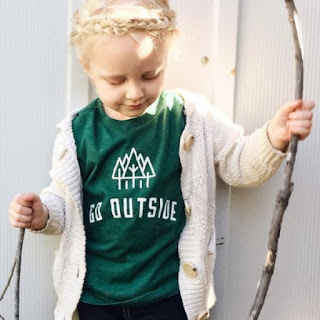 Ollie & Ellis Co: This Etsy shop specialized in adorable and modern embroidery and includes wall hangings, Christmas ornaments, and more. Visit the Ollie & Ellis Co Etsy shop for more information. Sanded Art Woodworks: Rick Plathe makes gorgeous custom wooden creations including cutting boards, jewerly boxes, pens, and more. His wooden and acrylic pens are especially reasonably priced. You can check out his works of art and find out how to order by visiting the Sanded Art Woodworks Facebook group. Jolly Time Koated Kernels: Sioux City is the headquarters of the Jolly Time Popcorn Company. You can get a wide variety of delicious popcorn from their corporate store or local grocery stores, but one of the most giftable options is Jolly Time Koated Kernels' bags of pre-popped popcorn drizzled with chocolate, caramel, and other fantastic flavors. I got to try samples of a few flavors, and they are really pulling out all the stops this holiday season. I especially recommend their peppermint swirl flavor, which is fresh and minty without being overwhelming. Check out their website and Facebook page for more info, and especially watch for their weekly specials! Palmer's Candy: How lucky are we to have a popcorn factory *and* a candy factory?!? The Palmer's Candy Shoppe near downtown Sioux City features a wide variety of candy including pre-packaged, bulk bins, factory seconds, and hand-crafted truffles. They also have a nook in the back of the store featuring non-candy gourmet foods! Promenade Theatre: The Promenade Theater in downtown Sioux City is our local movie theater. The Promenade is part of a small regional chain and features lots of fun events for families. This Christmas watch for The Star, an adorable movie about the animals who helped the First Christmas happen! The Promenade sells gift certificates at the theater, and you can order gift cards and concession bucks on their website! You can check out the Promenade on their website or Facebook page. Orpheum Theatre: The Orpheum Theatre is Sioux City's home for fine arts, and this holiday season there will be a variety of Christmas concerts and the Nutcracker ballet. A hot Christmas present this year will be tickets to Daniel Tiger Live at the Orpheum on February 3, 2018. You can get more info on the Orpheum website or Facebook page. 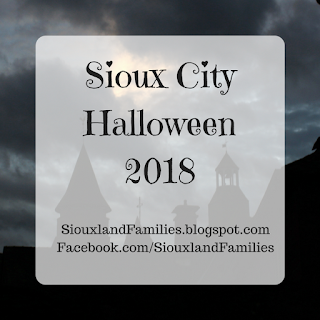 Sioux City Railroad Museum: The Sioux City Railroad museum showcases trains of all shapes and sizes, from an extensive and detailed model train exhibit to giant steam engines. There is also a brand new Grand Scale Railroad that guests can ride, one of very few in North America. The Sioux City Railroad Museum is closed from December 17th to February 28th. 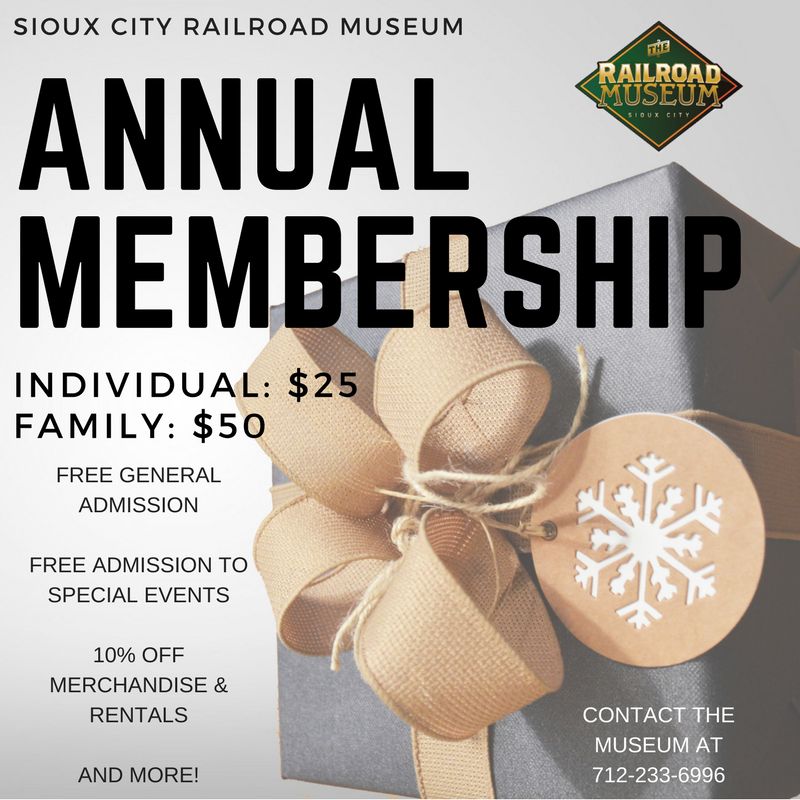 Passes and memberships to the Sioux City Railroad Museum are both available, and you can find more information on the Sioux City Railroad Museum website. Launchpad Children's Museum: Launchpad features a wide variety of interactive exhibits for kids of all ages to play and learn with. 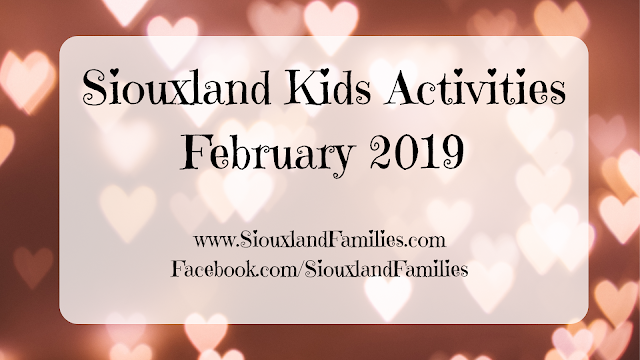 They also have lots of fun special events, like storytimes and science experiment sessions, and most are free to members or with paid admission. Passes and memberships to Launchpad Children's Museum are both available. You can find more info on the Launchpad Children's Museum website. MidAmerica Museum of Aviation and Transportation: Explore 30,000 square feet of airplanes, models, memorabilia, and more including a flight 232 exhibit, part of a 727, and the largest radial engine used in an airplane. A family membership is only $36, making it one of Siouxland's most affordable museum memberships. Check out their website or Facebook page for more info. And for fun, a #GiftingSiouxland Giveaway! 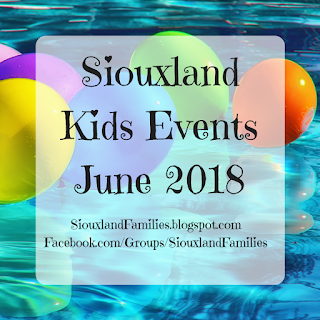 One lucky reader will win a family pass to the Sioux City Railroad Museum's Christmas at the Roundhouse event, $10 to Jolly Time Koated Kernels, and a shirt of their choice from Magnolia Roots, and one runner up will win a family pass to the Sioux City Raiload Museum's Christmas at the Roundhouse! To enter, leave a comment on this blog post or on the official giveaway post on Facebook describing one local gift you wish you could gift yourself. For bonus entries, do any of the following and leave a separate comment for each thing you do. If you comment anonymously, be sure to leave an email address in your comment so I can contact you if you win! I'll choose a winner at noon on Monday the 27th!